As you can see, Agents of Mayhem is in keeping with Volition’s modern design ingredients: an urban landscape, lots of open-world action, and a touch of the whimsical. As the trailer hints at, you play a squad of three agents, and use their unique skills in tandem to beat back the bad guys; which isn’t to say you’re necessarily controlling the “good” ones. Though they’re definitely a lot nicer than the mustache-twirling megalomaniacs of L.E.G.I.O.N., the agents of M.A.Y.H.E.M. aren’t exactly heroes with a capital “H” either, which is part of their charm. Imagine letting the Suicide Squad loose in a futuristic version Seoul, Korea and you’ve got one foot in the ballpark. A developer’s analysis of the debut trailer, offering more insight into what you’ve just seen. Written and video previews based on our hands-on time. A look inside Volition and the making of Agents of Mayhem. Este jogo realmente parece muito interessante, o Trailer está realmente bem feito e se o gameplay for semelhante ao dos Saints Row então temos aqui um jogo muito divertido. O simbolo dos Third Street Saints no fim dá a entender que é no universo dos Saints Row. Agents of Mayhem releases on August 15 (NA), August 18 (EU) on PS4, Xbox One, and PC. Dos últimos vídeos que tenho visto assemelha-se a um Crackdown e tem melhor aspecto que os vídeos do Crackdown 3, aguardam-se reviews. Alguém chegou a comprar? Anda a 15€ +/- novo. Sim, eu comprei por 10 euros. Joguei pouco mas não fiquei muito convencido! Joguei pouco mas não fiquei muito convencido! Não sei qual foi a ideia deles de fazer este jogo, mas suponho que já estejam a trabalhar num novo Saints Row, que é isso que todos querem. 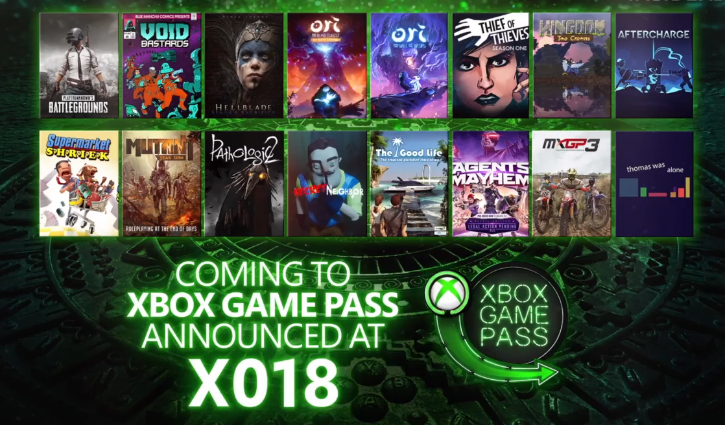 Vem para o Game Pass.